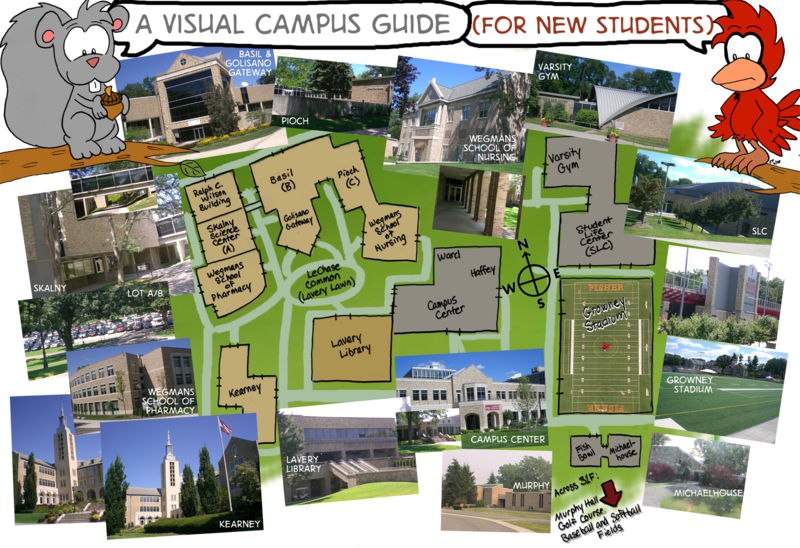 Since I made this map, the school has added the Skalny Welcome Center, the Polisseni Track & Field Complex, classrooms to Elaine P. Wilson Pavilion, and soon its new School of Business building. Lavery Library has also since received a new front facade, rendering its photo out-of-date. Progress marches on.